Resistant to stains and odours, it is fully sealed and easy to clean. 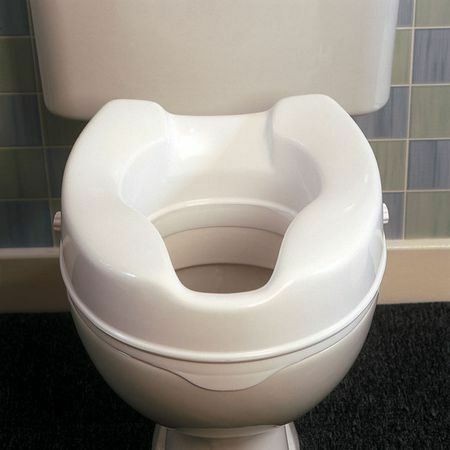 The conveniently wide front opening and rear and front cut outs also allows easier access for personal cleansing. 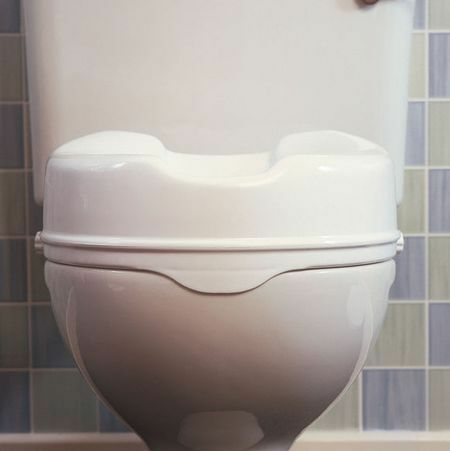 The two brackets on the side of the toilet seat have bonded rubber non slip buffers to keep the toilet seat firmly in position. These brackets can be easily adjusted to fit on most sizes and shapes of toilets, by the use of the two large fluted turning knobs. 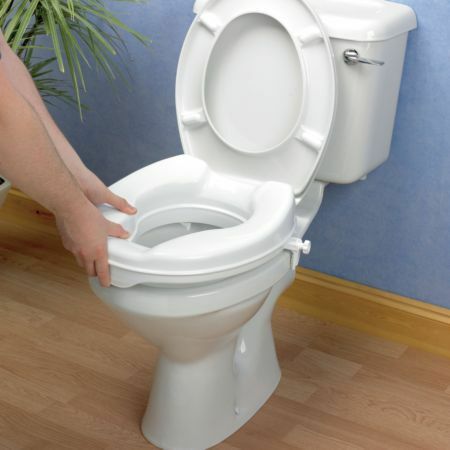 This makes the fitting and removal of the raised toilet seat very quick and easy. on behalf of my wife ( she is disable - can not ,,,,,, ) I feel pleasure to advise that she used this product successfully , she is happy with this product. she used it since 5 years. This raised seat fits exactly onto my toilet at home! Its the best fit I\'ve bought yet! And the extra height on the 6\" seat has been a real plus for my mum as she struggles to get up and down off a low toilet seat.